What Does "Free Speech" Mean on a College Campus? Uncommon Thinking: What's the Most Unusual Experience You've Had as a Result of Knowing a Second Language? You Can’t Say Something Nice. Now What? Uncommon Thinking: What Makes Prose Beautiful? Were the Polls Really So Wrong? Who is the Class of 2020? Oh No — Organic Chemistry! How Do You Want to Change the World? What Is Influence, and How Do You Measure It? Digital Devices in the Classroom: Help or Hindrance? Is the Universe a Friendly Place? Where Did They Go and What Did They Do? Which Book Changed Your Life? Do Our Smartphones Make Us Smarter? How Do You Measure the Value of a Liberal Arts Degree? "Seeing Science as a Whole"
Where is Photographer Thomas Lee? AcademicsExplore our courses, faculty and other enrichment opportunities. College FactsLearn about the history, setting and dean of the College. Our StudentsMeet our students and learn about their academic experiences. Notable AlumniDiscover our global network of alumni. Diversity and InclusionThe College is strongly committed to diversity within its student body, faculty, and staff. NewsRead stories covering the College's current events. EventsView our events calendar and convocation schedule. Degree RequirementsFind information on how to meet your undergraduate degree requirements. Majors and MinorsExplore majors and minors. Review the rules and requirements. First Year and Transfer InformationReview policies for first-year and transfer students. Courses, Registration and GradesUnderstand the College's policies and procedures related to registration, grades and credits. Enrichment OpportunitiesFind volunteer, study abroad and other hands-on learning opportunities. Graduation PreparationView undergraduate graduation procedures and explore careers. Advising and SupportUtilize the advising resources available to Weinberg students. Prospective StudentsLearn all about our graduate-level academic offerings. Student ResourcesView research guidelines, grants, policies and procedures. Graduate Program AdministrationAccess staff resources for assisting graduate students and programs. Contact usReach out to the Office of Graduate Studies for additional information or help. Undergraduate ResearchRead about undergraduate research opportunities and recent projects. Graduate ResearchLearn about funding types and grant proposals. Faculty ResearchView policies and guidelines, funding sources and the proposal guide. New KnowledgeSee profiles of faculty whose research helps understand and shape our complex world. Research AdministrationFind information about funding, proposal development, award management and compliance. ContactSpeak with research administration staff. Career DevelopmentTake advantage of advising and assistance as you explore career paths. Weinberg MagazineRead our bi-annual alumni magazine. Alumni PathsSee the variety of paths Weinberg alumni have taken. For AlumniStay involved after graduation. ContactTalk to us about getting involved with the College. 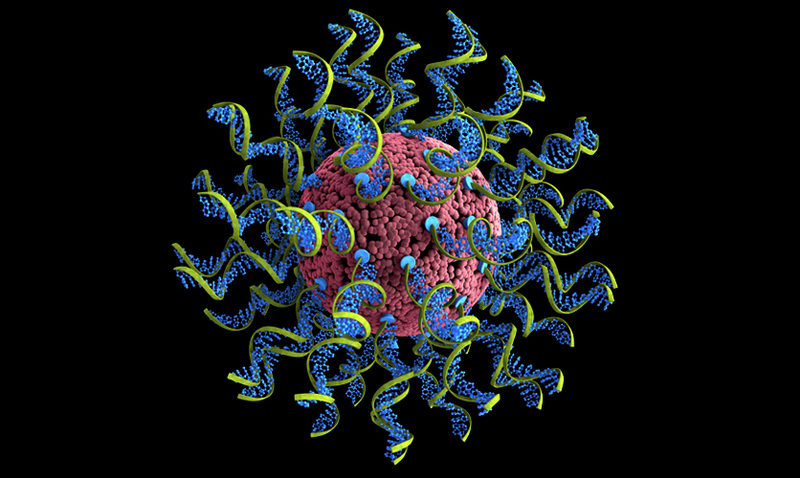 SNAs are tiny, nano-sized structures densely covered with DNA or RNA. Created by Weinberg College nanotechnologist Chad Mirkin, they can interact with biological systems in unique ways and maintain their stability without harming patients. 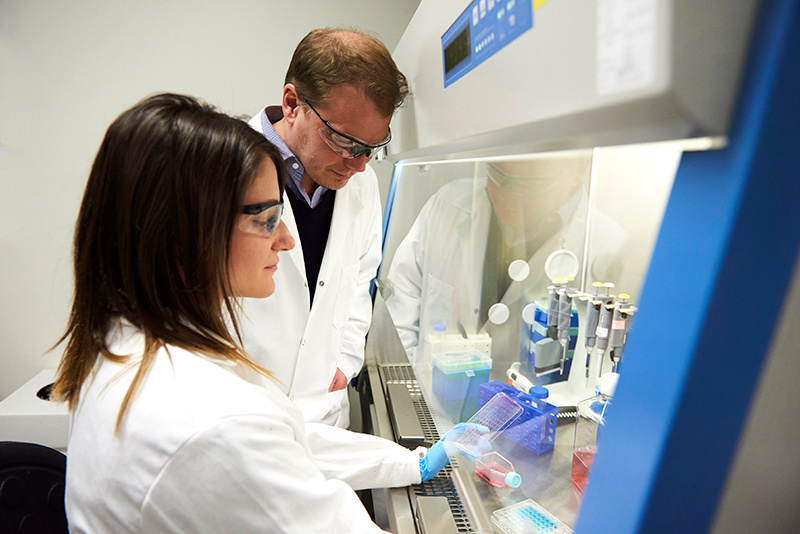 As a result, they can deliver highly effective, targeted and personalized cancer treatments. Cancer is a cunning foe. It can behave so insidiously that the drugs used to fight it can land wide of the mark, damaging healthier tissues as well. But what if that medicine could be introduced with pinpoint accuracy into the very heart of a tumor? And what if, once delivered, the drug could work with spy-like stealth to fulfill its lifesaving mission? 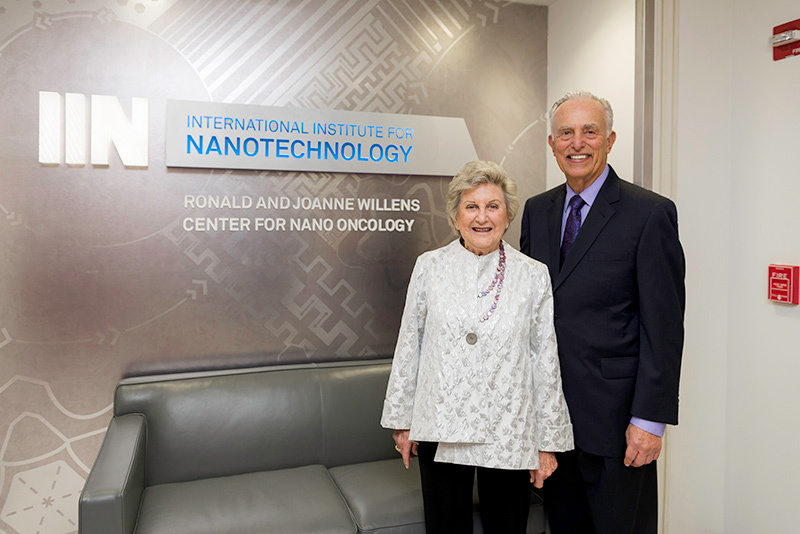 Such is the vision of Northwestern's Ronald and JoAnne Willens Center for Nano Oncology. 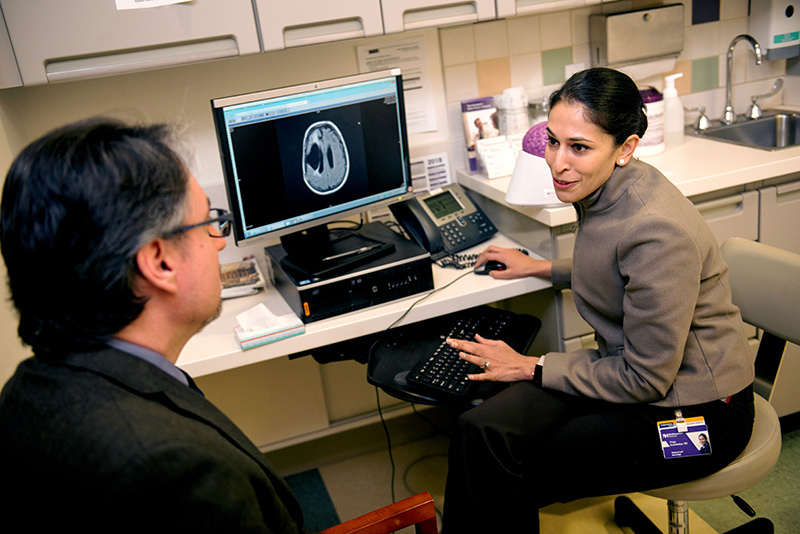 Housed within Northwestern's International Institute for Nanotechnology (IIN), the center connects Weinberg College scientists with McCormick School engineers and Feinberg School of Medicine researchers to develop innovative new therapies for the most aggressive cancers. 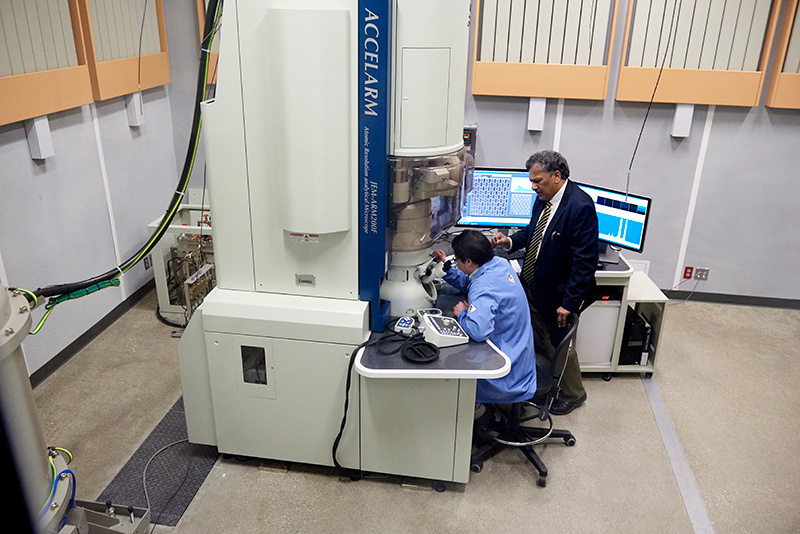 Nanoparticles may be unfathomably small, notes IIN director Chad Mirkin, the Weinberg College chemistry professor who also leads the Willens Center. 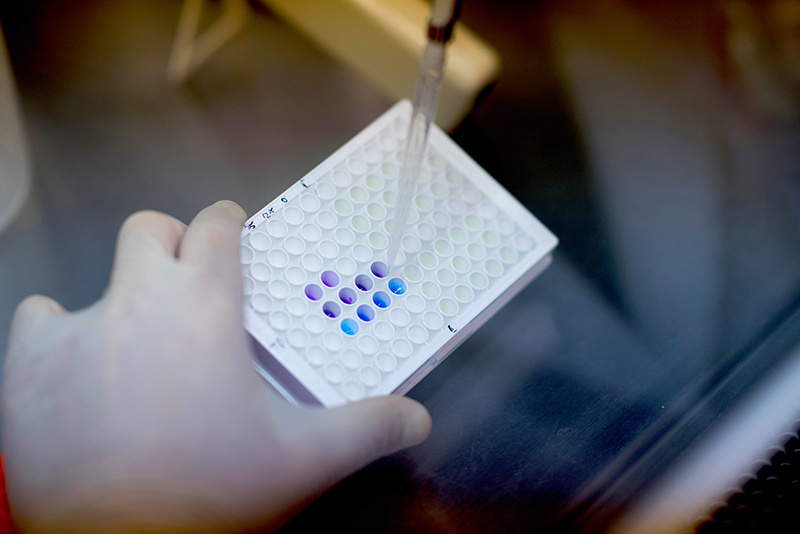 "But the potential for using them in the fight against cancer," he says, "is vast."